It's a tricky time for foundation. Your summer one may be beginning to be too glow-y, while your usual winter one perhaps makes you look like Snow White. Alternatively, maybe you've just completely ignored everything we've ever told you about how to choose a foundation, and goofed on shade choice. 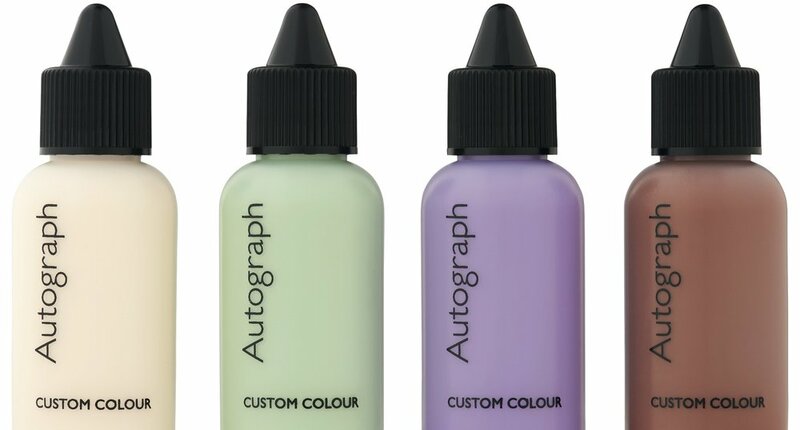 Autograph Custom Colour is a brilliant fix, then. It comes in four shades – though we're less convinced about Green and Purple. However, the Light is brilliant for slightly 'lifting' the colour of a base, while the Dark does what it says: takes your base a shade or two darker. Experiment with just a drop: we recommend applying foundation to the back of the hand (we do that anyway), then adding this – first one drop to see how that changes the shade, and you can build on that. And as we say, you can also use these to 'perfect' shade mistakes you've made – making them a real steal, at just a tenner each.